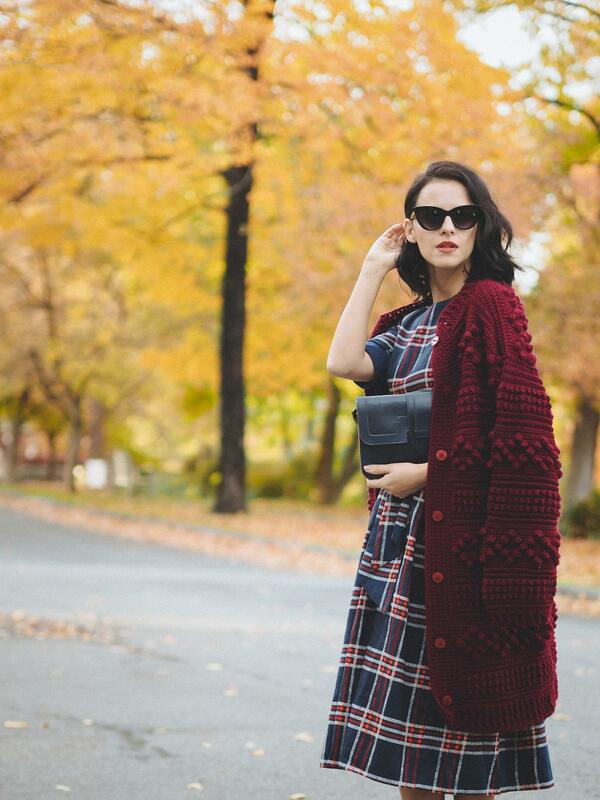 Navy plaid dress and an oversized vintage cardigan were the predominant pieces of today's look. I love this print for Fall days and the colors are also very autumnal. After wearing only boots for a full week in Upstate, some heels were a must and my choice was these burgundy beauties. Definitely a win -win ladylike mix! 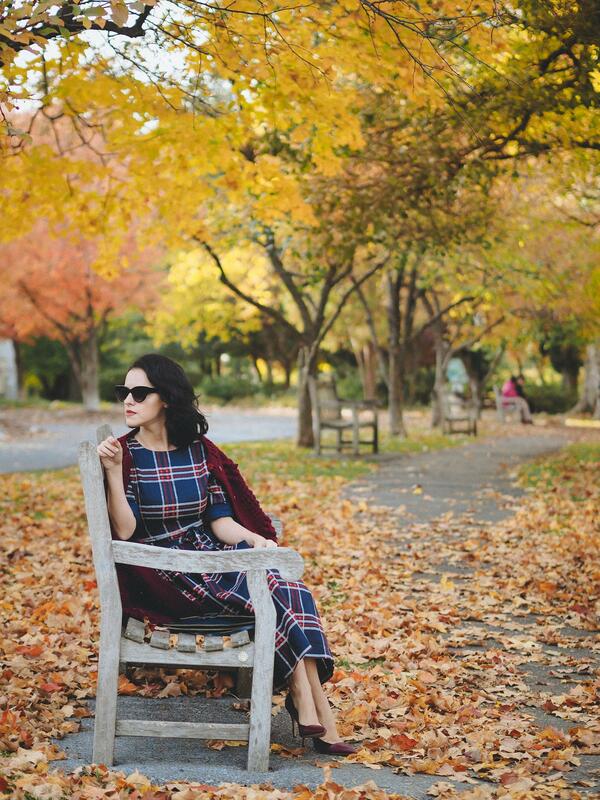 Like an Autumn queen! 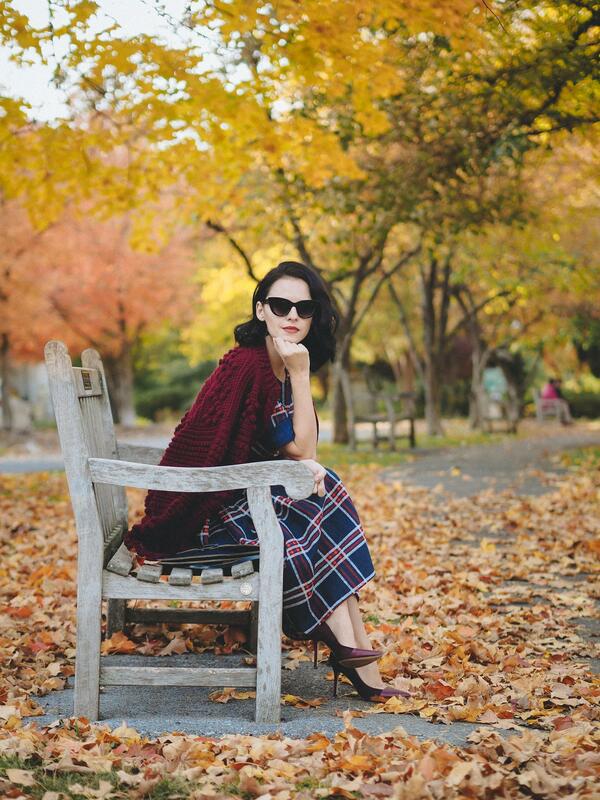 Beautiful photos, ladylike outfit and wonderful colors! Oh I love deep blues and burgundy together, so rich and jewel – like for autumn and winter. 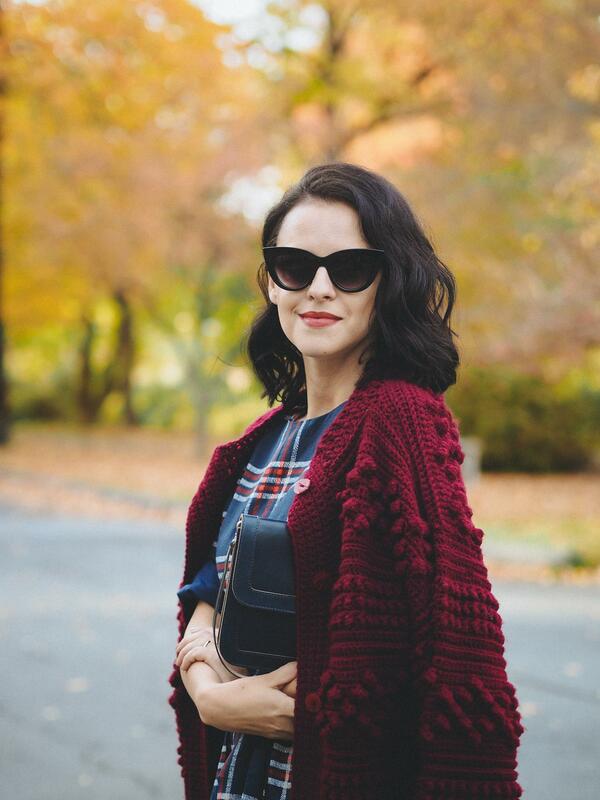 Your beautiful vintage cardigan is the epitome of cosy and partners perfectly with your dress and shoes. An all round great look! Gorgeous colors and of course your backdrops are a marvellous tribute to nature.